Franchise Direct is a web-based directory where users can find and inquire about franchise opportunities with various companies. As part of their push into the Latin American market, my company, Hot Sauce, was hired to create a directory site with its own branding, layout, and user experience. My role was comprehensive for this project, handling the wireframes and user experience design as well as the styling layout and final design of the site. I used Axure for the wireframes, and went with a card based design for each franchise opportunity, complete with the ability to quickly view information and reserve interesting opportunities to a request list. 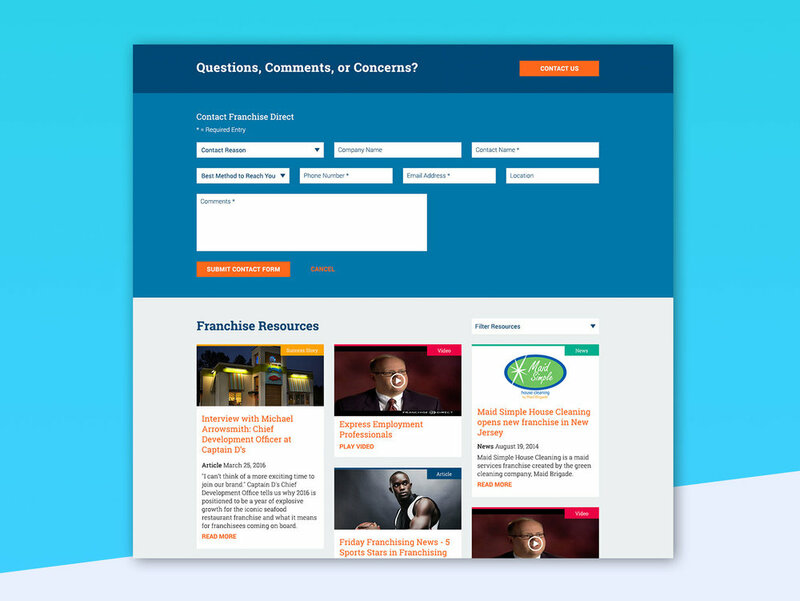 The end result was a website that generated more interest and inquiries than Franchise Direct's Mexico site.